Use your event app tools to communicate with your audience sessions, speakers and devices in multiple segmentation targets and channels. Attendees agenda can be personalized both by themselves and by event management. Event managers can select activities in the event app accessible by each attendee; the attendees can set up their agenda by searching for rooms, content tracks and schedules. Using the event app you can share information with attendees at any time through the news feed and push notifications. These are unlimited and can be sent directly to all attendees or targeted, improving communication. By the event app attendees can see speakers data, such as bio and available contacts, as well as which what event sessions they will attend. For event organizers, through the event app, it is possible to write the speakers names, change their photo and role, add contacts and links to their social media such as Facebook, Twitter and LinkedIn, and add descriptions about them. It is also possible to import data automatically, via an excel file. With an event app you can upload documents and share them with event attendees. You can upload articles, sponsors catalogs and presentations. Documents can be searched in the event app. They can be placed in a session related to the entire event or in activity-specific sessions. With an event app you can highlight the most important sites of the event venue. Guide attendees with an interactive map that indicates all activities and allow them to zoom in and zoom out. The event map can be stored offline and customized with the event layout, colors and brand. Without the need to print maps, your event becomes increasingly sustainable with an event app. Facilitate connections among attendees with an event app. You will be able to control their contacts, how attendees may communicate with each other and connect them through the event app chat! Login via social media allows your attendees access to the event app quickly and safely. More assertive searches can be performed by name, job title, company and/or tag. 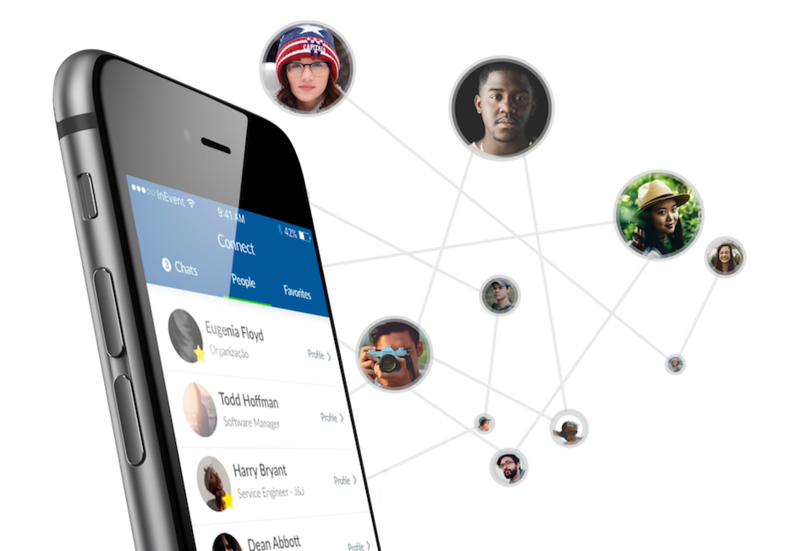 The event app provides a contact list of attendees, either publicly or privately. 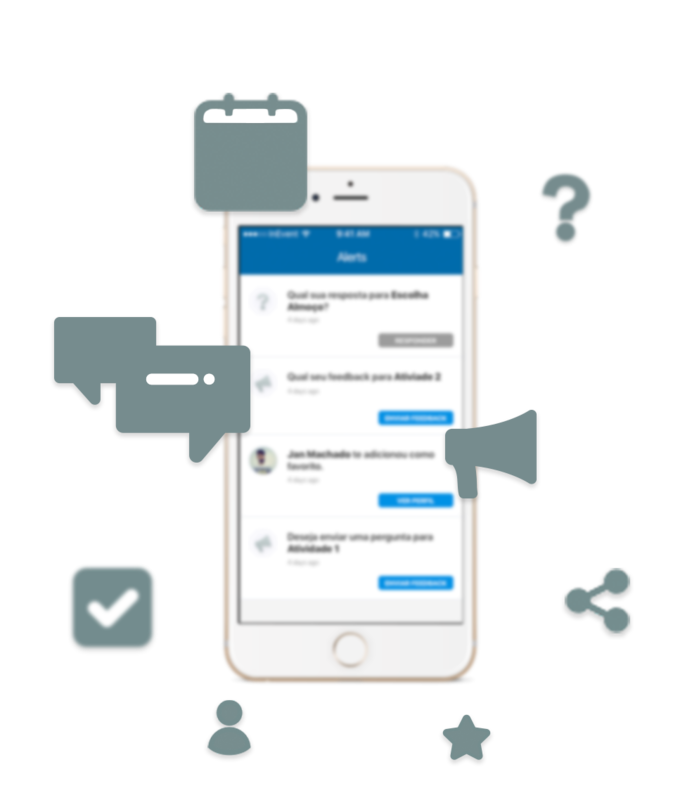 An event app feature for exchanging private messages among attendees, promoting a timeless networking that is not restricted to the event coffee-break. Through the event app colored labels you facilitate the connection between attendees by targeting them for interests. Using the event app attendees can easily book business meetings during the event. They will automatically appear on the agenda of those involved. With the event app attendees can save their key contacts in a secure space simply by tapping on other attendees profiles. Discover and interact with your event attendees conveniently and fast. You can create multiple unique interactions with our premium tools included on the event mobile app. At the end of each activity, through the event app, attendees can give their opinions on subjects chosen by the event organizers. Answers can be numeric (0-5), Yes/No and textual. Through the event app attendees can interact with speakers by asking questions that can be answered at the end of lectures. Questions can be selected in the event app by the event organizers. You can also automate their approval. It is possible to conduct interactive polls during the event lectures. Questions can be activated at any point during the lecture and attendees can answer to them by the event app. Answers can be monitored and approved by the event organizers. For each event activity is made available a forum for comments and discussions in the event app. Thus, with the event app, attendees can develop the topics and generate relevant content both after the sessions and after the event. Create games for your event using an event app. Interaction among attendees can lead them to earn points and awards, fomenting engagement at your event. The missions are dynamic, each with a goal to be fulfilled, and attendees can mark them as complete in the event app. 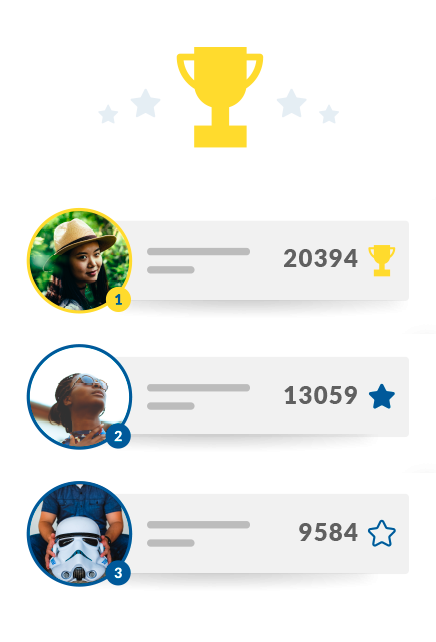 Attendees can also check who among them has already completed a mission and those with the highest score will be at the top of the ranking in the event app. The event app interactions can be projected on screens distributed at the event venue. Attendees who checked in, asked questions and answered polls present just a few of the possibilities. The screens are dynamic and updated in real time, without needing to refresh or manually operate them for loading new content. Promote your content sharing based on your devices and controls. You can livestream your event, connect with your audience with live quizzes and send notifications to all your attendees. Broadcast your event live over the Internet by recording the event activity with your equipment and synchronizing the link with our servers. So the event attendees will be able to access the platform, watch and interact with the live event directly by the event mobile app. Access can be private to a list of people or public to all the event attendees. Messages with text, video, and images can be shared on social media integrated with the event app. The content can be pre-approved by the event organizers so that no confidential information leaks to external sources. 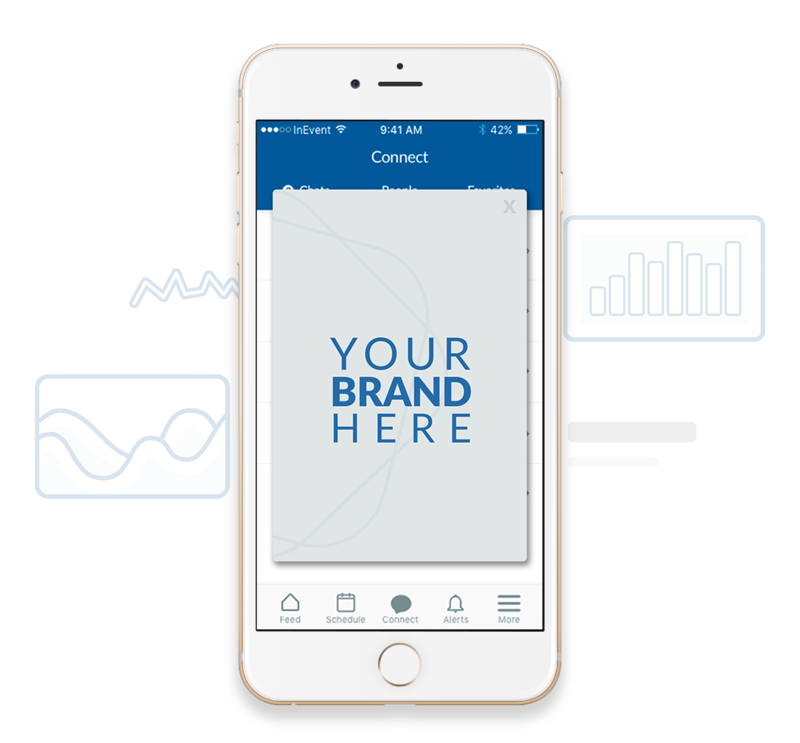 With an event mobile app, you can promote the event sponsors through multiple channels such as ads, banners, lists, maps, branded apps, splash screens and more. Serve to show sponsors' brand prominently, full screen in the event app. Ads are customizable and rotated periodically, by which different sponsors can be displayed a different number of times. The button to close the ad in the event app is optional. 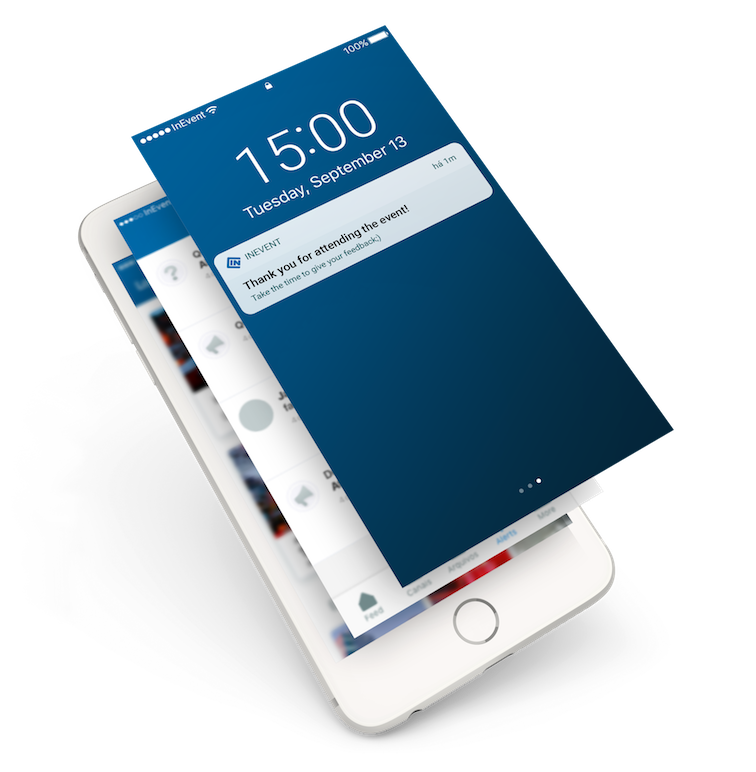 Full screen with CTAs targeted at your audience highlight an exclusive communication for your sponsor for each attendee on the event app. List of all the company details so attendees can get in touch through the event app. Use the event app to inform attendees about nearby and/or convened hotels and restaurants. Guide them with information on price, type of accommodation and cuisine. Provide convenience to the attendees, offer a touch of local flavor and partner with establishments. Available as a hyperlink in the event app tab. You can personalize your event mobile app with as many tabs as you need, order them and label them as you wish. This creates an unique layout powered for your event app, powerful and secure, to access on the go with your custom layout. You can also add external links to your event app so that attendees can browse without leaving the app.